The Siliguri Municipal Corporation will felicitate 10 clubs in the town that organised Durga Pujas keeping in mind cleanliness and also organisers of the best procession for Muharram. Mukul Sengupta, the member, mayor-in-council (conservancy), said a team had already selected the Durga Pujas that would get the prizes. The Muharram committee will be selected later this evening. "This is the first time we will felicitate the 10 best Durga Pujas in town, on parameters of cleanliness etc. Before the Puja, the mayor had appealed to the clubs and organisers to display placards in pandals against plastic carry bags, smoking and dos and don'ts for vector-borne diseases," Sengupta said. "Keeping this in mind, we formed a team of representatives from the civic body, NGOs and trade bodies which visited different pujas and selected the ones that have kept their premises clean and have campaigned elaborately on these issues," the councillor said. "The team that we have formed will also select best organiser of Muharram today and we will hand over the prizes to all of them later this month at an event," Sengupta added. The councillor said the SMC cancelled leaves of conservancy workers during the festival to clear up the waste and also clean up the immersion ghat. 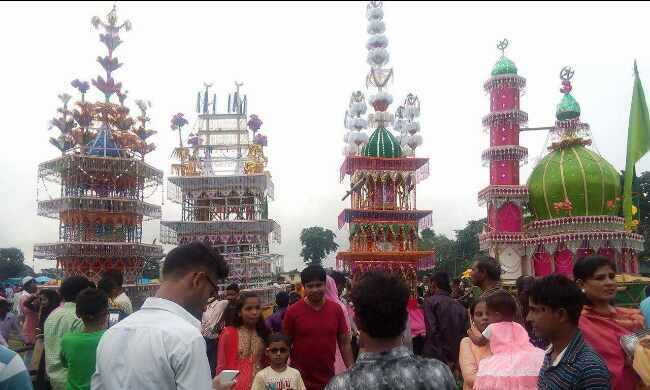 SMC sources said about 450 pujas are organised under the jurisdiction of Siliguri metropolitan police and 165 puja organisers have already immersed the idols yesterday.